MagicSong - Fortune Telling :: sidetaker. What Makes My Reading Sessions Unique? Sessions with me are fast, detailed, and done with natural gifts. I jump straight-in with confidence, and there is no wait for laying out cards, pulling-up charts, meditating etc.. The insight that I provide flows, and does not contain vague, cryptic, confusing responses, or reciting generic card meanings---but rather, straight-up insight and real answers. I also type very fast. Clients receive a great deal of information even in short sessions with me. I promise that I am very aware of time and expenses, and do my best to optimize both. Hello! My name is Delaney, and I am a 39 year-old classical/opera singer and college graduate who loves everything associated with the arts...however I also have gifts that go beyond those of an artistic nature. Many of the women in my family have psychic abilities, and mine became evident to my family as soon as I began speaking. Family members have stories about how I would respond to things people were thinking, fetch items, and talk about relatives who had died before I was born. As a child it was hard for me to understand that not everyone knew and saw things as I did. Decoding relationships is my specialty. As a very strong empath/ borderline telepath I am able to look into people and discover who they are, and how they feel and see—and why. My particular gifts enable me to assist in a greater understanding of others, and provide clarification and solutions to aid in healing and forming stronger relationships. In addition to relationship issues, I can also assist with most other matters/ topics. My gifts include being empathic, clairvoyant and intuitive—I do not need the aid of tarot or any other props. I have been providing readings professionally since 1996, and take my work seriously. I am fast, detailed, non-judgmental, and genuinely care for my clients and want the best for them. I also do not endorse any "mumbo-jumbo", spells, etc…basically nothing that violates free-will. I promise that a session with me will involve straight-up insight and guidance, without any offers of additional services. We all have free wills, and our choices are what construct our lives. My role as a reader is to provide information and guidance to assist, and empower you in discovering the best choices and outcomes. *Will you only tell me what I want to hear? * I tell people honestly what I see in the situation. The problem with telling people what they want to hear, is that maybe for a short time it will make them feel happy, but in the long run it can leave a person going in the wrong direction or holding on to something that does not exist--which can cause that person a lot of grief, and cost them time and energy that could have been spent finding something that truly would make them happy. I can do readings on future circumstances, as well as present and past. I also can provide time-lines for when things should happen. I estimate length of time much like judging the length of a piece of ribbon. I go from the present point and feel outwards along the "thread" to when the event will occur. Clients report all the time about my time lines having been accurate. No. I generally start with asking only for first names and main questions. Think of your life as being a really huge book, and there is only a limited time to read it. It helps to have a "chapter" to focus on rather then the whole thing at once. *What is Free Will* Free will means that our lives are based off of the choices we make...and yes, impacted by the choices and actions of others as well. Nothing is ever truly set into stone or only has a single outcome. This means that much of what we make of our lives and how we view things is in our own control. 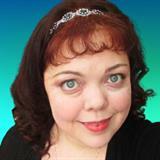 ~*I have provided professional psychic/ advisor services since 1996. ~*Kasamba/Liveperson--Psychic Expert on-site since 2005. High 4.98 Star rating average. ~*Angelsplay--Former Psychic forum (2000-2001). I was tested, and performed public/ chat room reading sessions. 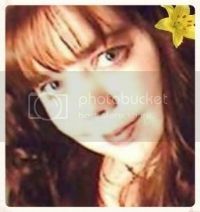 ~*Childfinders--Organization of volunteer intuitives that assisted in child abduction cases and studies done on using psychics in crime solving. ~*College Graduate--Bachelor's Degree in Speech Communications. Music Minor. Thank you so much! You brought clarity in my darkest situation. She was right. Not exactly the insight I wanted to hear but her insight into the events around me were spot on. Thanks! connection is fast and deep. excellent reading.